“They’re young. We’re dead. So it’s ‘cosplay. '” Wendy Ross Kaufman has been creating her own costumes for conventions since the ’70s. Here’s why this professional costumer is finally at peace with a word she once disparaged. HT @StevenSavage. Made in Abyss and post-apocalyptic fiction. Emily’s high school memories reveal exactly what kind of literature this breakout summer anime gets its inspiration from. 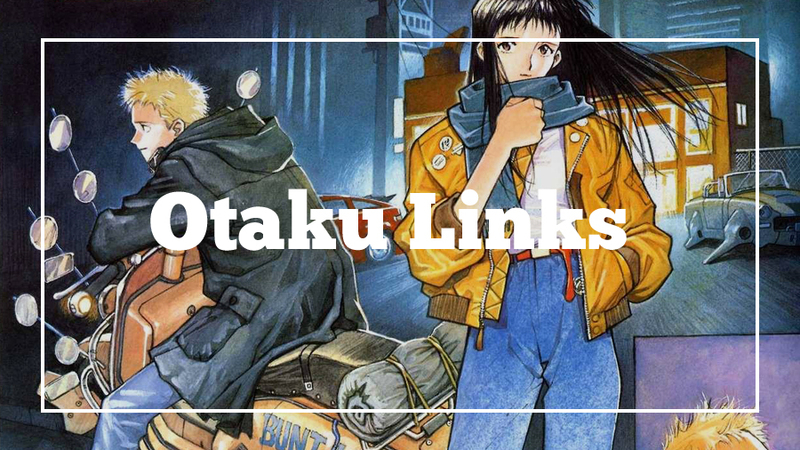 An Introduction to the “SAIYUKI” Anime… as told by a fan who read the manga almost a decade ago. Dee makes it so you can watch the new show even if you haven’t been keeping up for the last ten years. I certainly haven’t! Confronting Biases in My Hero Academia. Caitlin does a good job explaining how this show’s treatment of women is leagues beyond other shonen battle anime are doing. For the anime industry, the streaming revolution is both a blessing and a curse. David Ng’s article is one of the most level-headed approaches to this topic I’ve seen yet. YouTubers and Bloggers Should Interact More. An earnest plea for the anime fandom, but I don’t see it happening. Vlogging is a totally different beast. Chic Pixel is finishing up her PhD dissertation, so in the meantime you should check out some of her greatest hits. Lead photo via Old Anime Fashion. YouTube does have its good share of informative stuff, but sometimes, its algorithms just love to point you towards something that’s very clickbait-ish. It is neat though to see anime influencers within YouTube just like most other fields. I just hope that those YTers actually lead to good business for CR/FUNi/whoever, since how many of them actually endorse legal means of watching anime.